Children will have great fun drawing on the bath or all over themselves! Scribble, doodle, write and play, get colourful and clean in one go! 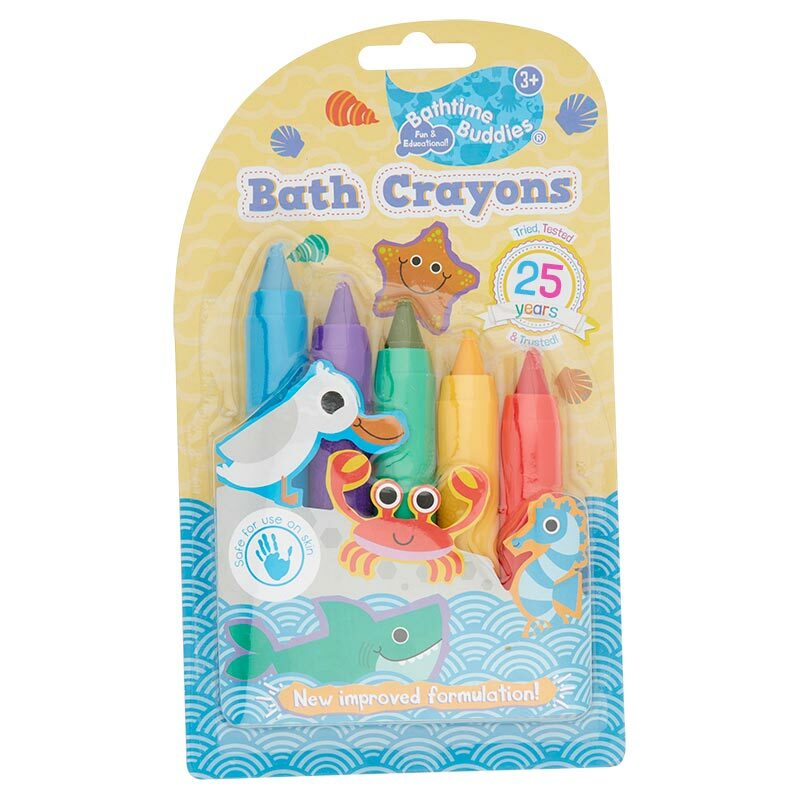 Don’t worry about stains, use the crayons on skin or a clean bath then wash off after use. It’s more fun to draw on the bath than on a piece of paper! Let your child get used to holding the crayons and develop their skills. You could even draw a shape and let them colour it in. Follow user advice as stated on product packaging. Available in Wilko & Tesco.